As we approach Earth Day, I’ve been thinking about ways to help kids develop an appreciation for the environment. We are lucky in the Capital Region to have many opportunities for connecting with nature, but one of my personal favorites is the wilderness program. Last year, I wrote about my son’s wilderness program experience in Flaming Arrows On The Wild Side on my other blog at The Journey Mom. This was such a success, that we enrolled him for another session in the Roots of Learning Tamakoce Wilderness Program. The location and timing of this weekly daytime program at Dyken Pond has worked out beautifully for us, but it is not the only option. There is a wide variety of wilderness programs, with unique offerings, that are based throughout New York. Tamakoce Wilderness Programs – Various programs throughout the year, from daylong to seasonal sessions, at Dyken Pond in Rensselaer County, the Bio Reserve in Albany, and at Caretaker Farms in Williamstown, MA. We focus on providing an opportunity for exploration growth and learning. By immersing ourselves in a world filled with the sights sounds and smells of the forest, we naturally become more attuned to the rhythms therein. This creates an atmosphere where learning about life in this environment becomes a very natural experience and the lessons learned will last a lifetime. Flying Deer Nature Center – Year-round programs, including summer camp, offered at the nature center location in New Lebanon, NY. Some programs also offered in Housatonic, MA. FDNC is part of a regional network of ten schools that draw on the wisdom of earth-based traditions the world over and seek to empower individuals through development of naturalist awareness and self-knowledge. 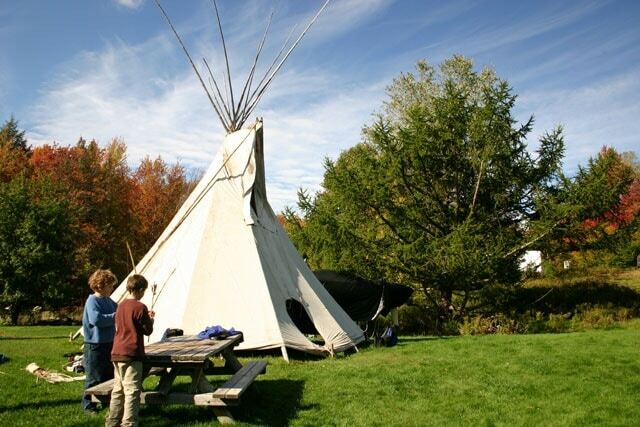 The Ndakinna Education Center – A wide variety of programs are offered at the center, located three miles south of Saratoga Spa, NY, including: summer camps, storytelling, tracker training, school field trips, and alternative college breaks. 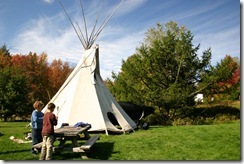 The Center offers people of all ages unique hands-on learning experiences, creative presentations, and exhibit spaces focusing on regional Native American understandings, Adirondack culture, wilderness skills and awareness of the natural world. The Children of the Earth Foundation – Programs can be organized at a location of your choice; thus, these are ideal for schools or youth groups. Our Coyote Tracks programs include a variety of week-long and weekend programs for youth, teens and families offered in locations around the country. Our courses range from introductions to the art of survival through advanced skills such as bow making, hide tanning, basket making and scout training. Adirondack Leadership Expeditions – Programs for troubled teens based near Saranac Lake in the Adirondack Mountains. Adirondack Leadership Expeditions is a character-development wilderness program for troubled teens that promotes personal growth through a focus on insight-oriented experiences. Hawk Circle Wilderness Education – Youth programs, summer camps, and in-school field trips based in Cherry Valley, NY. Hawk Circle is a place where you can learn about yourself, about the magic and wonders of our beautiful earth, and the power of community. Have your children attended any of these programs? Tell us about them. Also, am I missing any programs? Please share!